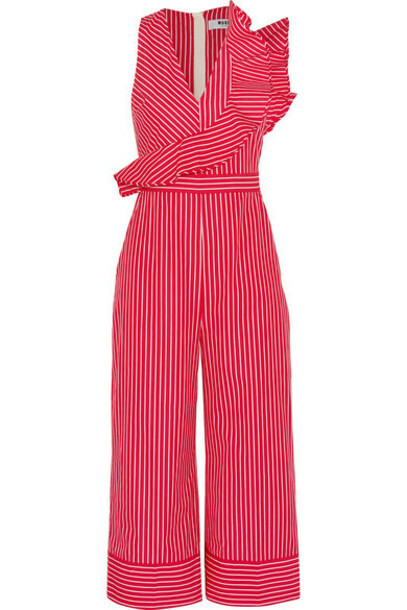 MSGM's cotton-poplin jumpsuit is printed with red and white candy stripes, placed vertically to elongate your frame. It is cut for a wide-leg fit and trimmed with structured ruffles across the front - a key detail from the Spring '17 collection. Wear it on balmy days with sandals or slippers.